This photo was created on assignment for Bluegrass Cellular. The agency was Doe Anderson Advertising in Louisville Kentucky - photographed in Miami Beach by John Lair lifestyle photographer. The art director was Wes Keeton. 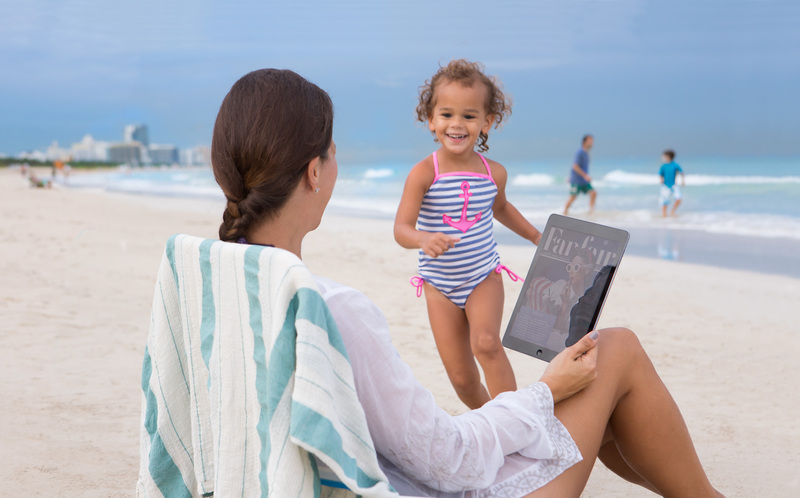 The idea was to candidly capture a family enjoying the beach and showing that Bluegrass cellular service will give service around the country and even in remote areas.